Home/Pet Care Centre/What should you feed your pet? Some foods are toxic to pets. Just because cats and dogs are domesticated and live in human conditions doesn’t mean their systems can tolerate the same food you eat. Basically both cats and dogs need a simple diet. Both are carnivores and meat is their natural food. They can also eat chicken, some types of fish and cooked vegetables like pumpkin and carrots. Some food types will not only upset your pet’s digestive system, they can be absolutely fatal, so avoid them completely. While not dangerous to pets, they do not need them. Many pet food products include a lot of carbohydrates, primarily because it bulks them up, but dogs and cats thrive on a high protein diet and don’t need carbs. A healthy diet will help your dog remain healthy and happy. They don’t have an acute sense of taste and are quite happy with a few basic foods. Pasta in limited amounts (see Carbohydrates above). Plentiful water must be always available. 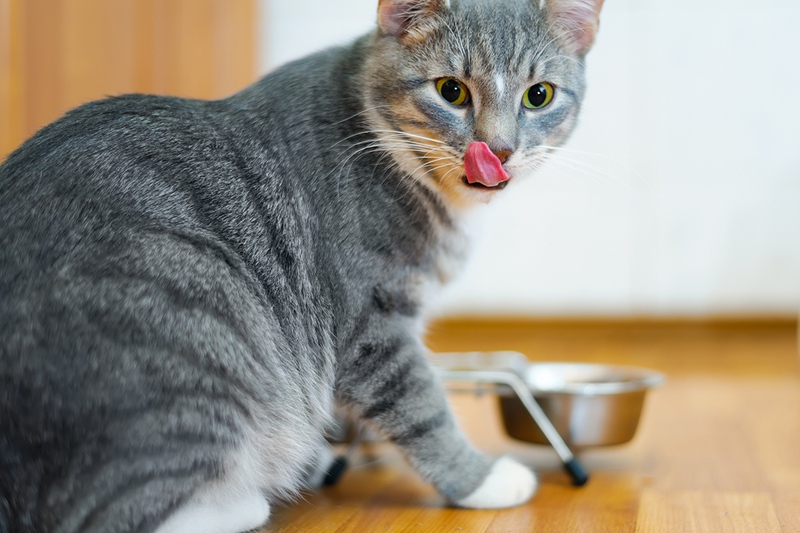 While it’s tempting to indulge your pet, it’s not a good idea to feed them scraps from the table. It compromises their diet and upsets balance and quantity, as well as influencing their behaviour.